Fuseli, The Swiss, And The British: Some Recent Publications. Johann Heinrich Füssli has been repatriated. Posthumously the Swiss painter who, under the name of Henry Fuseli, became Professor of Painting and Keeper of the London Royal Academy is now accepted as one of the major figures of eighteenth-century Continental art,1↤ 1 Thus, the first modern monograph, Arnold Federmann’s Johann Heinrich Füssli: Dichter und Maler 1741-1825 (Zurich and Leipzig: Orell Füssli, 1927) was published as vol. 1 of a series entitled “Monographien zur Schweizer Kunst;” similarly, the catalogue raisonné is vol. 1 of the “Oeuvrekataloge Schweizer Künstler,” published for the Swiss Institute for Art Research (Gert Schiff, Johann Heinrich Füssli 1741-1825, 2 vols. [Zurich: Berichthaus, and Munich: Prestel, 1973]). Recently Herbert von Einem discussed Fuseli in his book on Deutsche Malerei des Klassizismus und der Romantik 1760 bis 1840 (Munich: C. H. Beck, 1978).—It was in Rome and in England that Fuseli developed from a gifted amateur into a professional artist. Still, there might be a kernel of truth in Pevsner’s hint that Fuseli’s “Swiss-ness” may explain the basic discrepancies between his and Flaxman’s style (see The Englishness of English Art, London: Architectural Press, 1956, pp. 126f.). Thus, I do not mean to ridicule, in a precipitant way, what has been termed the “national character” in art. Together with all milieu and social theory of art this complex of questions undoubtedly belongs to the realm of unsolved problems in post-war art history. The painter’s own feelings for Switzerland obviously remained unsettled, which is hardly surprising with an emigrant. (Compare, e.g., the satirical drawing Schiff no. 568 and the poem on “Schweizerlands Künstler.”). In any case, it appears to be an irresponsible—though probably unconscious—chauvinism when Fuseli’s art is “claimed” for the annals of this or that nation as long as we know so little about the complex interplay of personal style, national character and the “internationalism” (Rosenblum) of late eighteenth-century art. and many of his most celebrated works have, during the past seventy years or so, found their way “back” into Swiss, German, and Italian collections. Also, much of the scholarly work on Fuseli has been published on the Continent, and now two aspects of his work which are not readily available to the museum public, his poetry and his drawings, seem on the verge of gaining the recognition they deserve. Professor Schiff’s pioneering analysis of the British Museum’s Roman Sketchbook,[e] which prepared the way for the 1958-59 exhibition of the then little-known Zeichnungen von Johann Heinrich Füssli in Zurich, and Eudo C. Mason’s rare edition of some of the painter’s poems,2↤ 2 Gert Schiff, Zeichnungen J. H. Füsslis aus seiner römischen Zeit: Mit einem beschreibenden Katalog seines Römischen Albums im Britischen Museum, London (unpublished Ph. D. thesis, University of Cologne, 1957); Gert Schiff, Zeichnungen von Johann Heinrich Füssli 1741-1825: Unbekannte und neugedeutete Blätter aus Sammlungen in Grossbritannien, Nordirland, Schweden und der Schweiz (Zurich: Fretz & Wasmuth, 1959 [Schweizerisches Institut für Kunstwissenschaft, “Kleine Schriften,” vol. 2]); and Eudo C. Mason, ed., Unveröffentlichte Gedichte von Johann Heinrich Füssli (Zurich: Kunstgesellschaft, 1951 [“Neujahrsblatt der Zürcher Kunstgesellschaft”]). have been followed more recently by a number of important books and exhibition catalogues. Some of these are briefly described in the following notes, leaving, however, the chef d’oeuvre of all Fuseli scholarship to the present day, Gert Schiff’s monumental catalogue raisonné, for separate discussion later. As a poet Fuseli indeed has to be considered in the context of German-language literature. The relation between painting and poetry in his oeuvre differs considerably from that in Blake’s, where the terminology of the “sister arts” and a “composite art” seems more legitimate. The Sämtliche Gedichte do not follow the concept of ut pictura poesis at all; on the contrary, with few exceptions they are quite abstract and non-visual, written in the manner and under the marked influence of Friedrich Gottlieb Klopstock.3↤ 3 See Guthke’s “Nachwort,” in Johann Heinrich Füssli, Sämtliche Gedichte, ed. Martin Bircher and Karl S. Guthke (Zurich: Orell Füssli, 1973 [“Nobile Turegum: Zürcher Drucke des 16. bis 19. Jahrhunderts”]), p. 107; (DM 32, c. $19.00). In addition, Mason showed how close Fuseli’s poems often are to Horace (see Mason 1951, p. 28). Guthke points out what the reader of Fuseli’s poetry feels from the beginning: the author favored the classical ode; his stanzas are alcaic or asclepiadeic; he makes use of hexameters or distichs—all rather complex poetic devices employed with an extensive knowledge[e] of antique traditions. These suit much of his subject matter, which is full of learned allusions and sometimes close to an allegorical hide-and-seek. Many of these verses are addressed to Fuseli’s friends in Switzerland; then there are the odes on patience, “auf den Portwein,” and “an das Vaterland.” Other groups are devoted to the Nibelungen saga and Germanic history, the anti-slavery campaign and the American War of Independence, or the author’s theory of art. That Fuseli’s finest achievement as a poet is one of his few love poems, “Nannas Auge,” has long been accepted. Though Fuseli has been identified as one of the major exponents of the Storm-and-Stress movement, Guthke justly emphasizes that his poetry is far from being impeccable. Often begin page 54 | ↑ back to top there are signs of rhetorical over-working, a fault that Fuseli recognized and criticized himself.4↤ 4 See Bircher & Guthke 1973, p. 110. Judging the quality of his literary work, however, we ought to remember that what we have of his later poetry is in most cases known from working drafts only, and Mason’s earlier hypothesis, that many of the poems might have reached a maturer state in the lost fair copies, still seems valid.5↤ 5 See Mason 1951, p. 12. The majority of the forty-six poems, printed here in an often tentative chronological sequence, were written early in Fuseli’s career, and only two of them in English. If seen in the context of contemporary German and English literature, all of them bear witness to the stylistic conservatism of their author. The mature work of Goethe and Schiller, of Hölderlin and Kleist, of the German and British Romantics made no mark. The odes bear an especially strong resemblance to Klopstock’s “Hermann und Thusnelda”—which Fuseli deliberately remodelled in about 1760—while the prose poem “Klagen” is somewhat reminiscent of Young’s Night Thoughts. Another group reflects Fuseli’s admiration for his countryman Rousseau,6↤ 6 Cf. Johann Heinrich Füssli, Remarks on the Writings and Conduct of J. J. Rousseau—Bemerkungen über J. J. Rousseaus Schriften und Verhalten, ed. Eudo C. Mason (Zurich: Fretz & Wasmuth, 1962 [Schweizerisches Institut für Kunstwissenschaft, “Kleine Schriften,” vol. 4]). and throughout he shows a critical awareness of the decaying feudal structures of European society, as seen through his own republicanism. The cult of artistic creativity that is apparent in “Die Gaben Gottes,” the attack on colonialism and slavery and his “prophecy” of the American Revolution in “Chincona” and “Colombo” are close—but close in subject matter only—to Blake’s works of the early 1790s. Though Fuseli’s poetry clearly suggests that his friendship with the engraver grew out of a number of political and artistic ideas that they shared, I cannot see any direct poetic influence of the one on the other of the two men. [Mis-]reading the Gedichte as prose essays, however, we find Fuseli’s “Erste [und Zweite] Ode über die Kunst” of the early 1770s foreshadowing Blake’s Descriptive Catalogue in its praise of Michelangelo and outline at the expense of Titian, Correggio, and coloring. (Though Raphael, too, was one of Fuseli’s effeminate demons!) Fuseli’s exclamation “Hölle, sei mir gegrüsset!” appears to echo Blake’s Marriage, and any Blake scholar will feel at home with the attacks on kings and priests that are launched repeatedly. Guthke’s “Nachwort” supplies the reader with yet another short biography of Fuseli which, though there is nothing new in it, is necessary to an understanding of the various auto-biographical pieces. Rather more important is the analysis of the obvious discrepancies between Fuseli’s poetic and pictorial oeuvres, and Guthke is also helpful with respect to the formal development of Fuseli’s poetry in its historical context. Mason’s introduction to the edition of 1951, however, is not superseded by Guthke and Bircher. In my opinion it remains the most detailed and balanced account of Fuseli’s poetic achievement that has been published to the present day.7↤ 7 See Mason 1951, pp. 7-45. The opinions here are by no means identical with the same author’s rather rash verdicts in The Mind of Henry Fuseli (London: Routledge & Kegan Paul, 1951), pp. 26-29, a book that was in print when the editor first learned about the Fuseli poems in the “North-Konvolut” (see Mason 1951, p. 21n2). Though the title promises Sämtliche Gedichte, the edition is not complete. Thus, for unknown reasons the lyrical fragments among Fuseli’s letters, which are known from Federmann’s book,8↤ 8 See Federmann 1927, pp. 115f., 120, 133, 135, 136, 141, 145. have been left out. Also, I am not entirely comfortable with the editorial principles employed in this first, and probably for a long time to come the only, collection of Fuseli’s poetry that is available to a wide public. Too much may have been left to the uncontrollable “Ermessen des Herausgebers”9↤ 9 Bircher, “Zum Text,” in Bircher & Guthke 1973, p. 120. and the extent of Bircher’s “modernizing” can be only estimated by comparing the facsimile reproductions of the manuscripts with the edited versions.10↤ 10 E.g., in the second Lavater ode I count upwards of forty “modernizations,” including one misreading, in a poem of not more than twenty-two lines. See Bircher & Guthke 1973, p. 90 and the opposite page for a reproduction of Fuseli’s autograph. This may be justified by the attempt to achieve “eine lesbare . . . Textform;” I doubt, however, that the same text can meet with the demands of a “wissenschaftlich zuverlässige Textform.”11↤ 11 Bircher, “Zum Text,” in Bircher & Guthke 1973, p. 119. In any case, the incompleteness in the apparatus of variants will be regretted in the long run, especially by those scholars who cannot easily consult the original manuscripts in Appledore (Ashford, Kent), Berlin, and Zurich. And yet, if Bircher and Guthke’s edition is measured against what we had before, these criticisms shrink to their proper proportions. While Fuseli may be only a minor Swiss poet, the publication of this handsome little volume—about the size of Blake’s Poetical Sketches—should nevertheless be welcomed for the insight it makes possible into the painter’s feelings as well as his ideas.12↤ 12 Finally, interested readers should be aware that only 1000 copies were printed, and those six years ago. 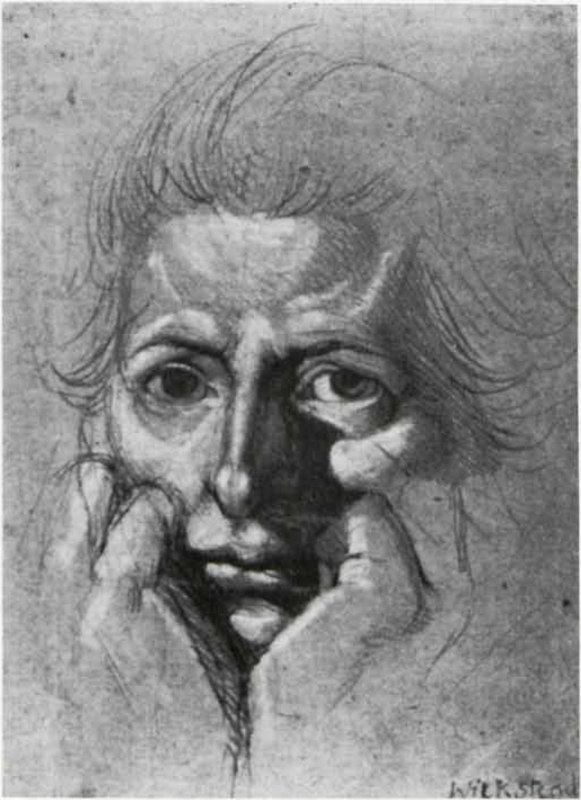 Whereas the 1977 Milan catalogue of some forty-five of Fuseli’s disegni e dipinti gives little relevant information beyond a number of new owner-ships,13↤ 13 Lamberto Vitali, Johann Heinrich Füssli: disegni e dipinti, exhb. cat. Museo Poldi Pezzoli[e] (Milan: Electa, 1977, c. $14.00). The catalogue also contains a brief essay by Gert Schiff on “Füssli in Italia,” pp. -12. Yvonne Boerlin-Brodbeck’s work on the Basle collection of Fuseli’s drawings deserves more attention. Cleaning and restoration of this group, combined with the author’s scrutiny on watermarks and the like, has yielded a number of interesting new results.14↤ 14 Yvonne Boerlin-Brodbeck, Zeichnungen des 18. Jahrhunderts aus dem Basler Kupferstichkabinett (Basle: Kunstmuseum, 1978), nos. 72-103, pp. 44-52; (c. $10.00). Almost eighty works from what probably is the finest Fuseli collection in our day, the Kunsthaus Zurich, were on show at Geneva in 1978, and, more recently, an exhibition comprising not only the “painter in ordinary to the devil” but also his circle in Rome, was held at the Yale Center for British Art.15↤ 15 Dagmar Hnikova, Johann Heinrich Füssli 1741-1825 (Geneva: Musée Rath, 1978; c. $9.00); as far as I can see, the entries in this 50-page leaflet are drawn entirely from the information supplied in Schiff 1973. When writing this note, my copy of the Yale catalogue, prepared by Nancy L. Pressly ($11.50) had not arrived in Germany; it will duly be recorded, however, in next year’s “Checklist.” Yet another exhibition, concentrating on the Auckland Fuselis, travelled to various cities in Australia and New Zealand from April to November 1979. The Auckland drawings did not come to scholarly light until 1963; they were then published in Peter Tomory’s important catalogue of 1967. The booklet accompanying their latest showing is a slightly revised and considerably enlarged version, prepared by the same author. This time, Fuseli’s designs were put into proper perspective: the 100 items on show included work by such artists as Barry, Blake, John Brown, Jefferys, Mortimer, Romney, and Alexander Runciman, forming, according to Tomory, a Poetical Circle around the British-Swiss master.16↤ 16 Peter A. Tomory, The Poetical Circle: Fuseli and the British (Florence: Centro Di, for the Australian Gallery Directors’ Council, 1979 [“Centro Di cat. 108”]; c. $15.00), being the second, revised and enlarged edition of A Collection of Drawings by Henry Fuseli, R. A. (Auckland, N. Z.: City Art Gallery, 1967), which has been reviewed by Michael J. Tolley in Blake Newsletter 11, 3 (Winter 1969), 51-52. For Blake enthusiasts, Tomory’s new hypothesis that the engraver William Blake may have been the original owner of the Auckland Fuseli collection should certainly add to the attractiveness of the catalogue. Prof. Tomory argues that the album may have passed through Linnell’s hands and then into the possession of Albin Martin, the former owner of the much disputed New Zealand set of copies from Blake’s Job.17↤ 17 See Tomory 1979, p. 15. Besides the Milan catalogue, another Italian effort in Fuseli studies ought to be mentioned. L’opera completa di Füssli has many merits.18↤ 18 Gert Schiff and Paola Viotto, L’opera completa di Füssli (Milan: Rizzoli, 1977 [“Classici dell’Arte,” vol. 91, n.s. vol. 6]; Italian Lire 3000. / c. $4.50 paperback edition, Lire 8000. / c. $10.50 hardcover. First, the 64 full-page illustrations in quarto format represent the largest group of color plates from Fuseli’s oeuvre published to the present day; and the modest price of the book makes us put up with the fact that some of them are rather marred, and begin page 55 | ↑ back to top that they often show a beastly tinge of red which of course is absent from the original oils and watercolors. Then there is a competent “elenco cronologico e iconografico di tutti i dipinti di Füssli o a lui attribuiti,” compiled by Paola Viotto under the guidance of Gert Schiff. This “catalogo delle  opere” is illustrated with tiny black-and-white reproductions of the paintings. Complete with an appendix (a descriptive and fully illustrated list of 122 important Fuseli drawings), an “itinerario di un’avventura critica,” a select bibliography, a timetable, a thematic index, and an introductory essay by Gert Schiff on “il classicista ‘malgré lui,’” this makes up a fine and most useful compendium. Side by side, the London catalogue of 197519↤ 19 Gert Schiff, et al., Henry Fuseli 1741-1825 (London: Tate Gallery Publications Department, 1975). and this volume from the “Classici dell’Arte” series constitute, as it were, an abbreviated version of the monumental catalogue raisonné. In spite of the warnings of Anthony Blunt and others,20↤ 20 See Anthony F. Blunt, The Art of William Blake (New York and London: Columbia University Press, 1959), p. 41. both Blake and Fuseli scholars, where dealing with the relation between the two artists, have all too often been preoccupied with establishing dubious priorities in the use of this or that motif. It is to be hoped that the wealth of materials published by now, including some listed in this announcement, will help in tackling more ingenious questions. Thus, the similarities in subject matter may be weighed against the basic differences in personal style; Fuseli, the outsider inside the academic system may confront Blake, the outsider outside all systems but his own; Fuseli, as a representative of the Cinquecento tradition may be set against Blake, the “creator as destroyer.”21↤ 21 This, of course, is not to say that there is no “Tradition” or “Antiquity” in Blake’s work; he made use of them, however, in a radically non-affirmative way. To simplify matters: where the Swiss-born painter draws on artistic and intellectual traditions, he does so as an “imitator” (understood according to the definition in his own first Academy lecture); Blake’s strengths and weaknesses, on the other hand, originate in a method of “Copying” based on “Inspiration,” not “Mnemosyne.” See Ralph N. Wornum, ed., Lectures by the Royal Academicians: Barry, Opie, and Fuseli (London: Henry G. Bohn, 1848), p. 348, and Blake’s Milton 1. I can think of no Fuseli painting which would be mistaken as a Blake—in the present state of research it seems to be worthwhile to accept the challenge and to ask why. What is needed now is a comparistic investigation of the formal constituents of a number of iconographically similar works by both artists. I should think that we all have had enough of the narrow-minded and partial quarrels between Fuselians and Blakeans, which often appear to be as irrelevant as they are subjective, characterized by a mutual ignorance of the results of the literature in the neighboring field of studies.22↤ 22 The game was started contemporarily by Stothard, and among its devotees we find Gilchrist, Federmann, Albert S. Roe, Gert Schiff, and all too many others. The latter, at least, need not be, and in the future we may try not to ↤ 23 Fuseli’s “Dunciad of Painting,” in Bircher & Guthke 1973, p. 81.